Scratch stock needs hours – and a dedicated chef – to make. 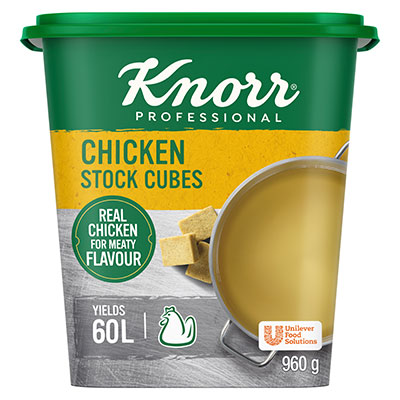 With Knorr Chicken Stock Cubes you can have a flavoursome stock or brine in minutes. Knorr Chicken Stock Cubes are a must for almost any rice dish. Made with real chicken, carefully selected herbs and spices, it will enhance the natural flavour of your fresh ingredients.